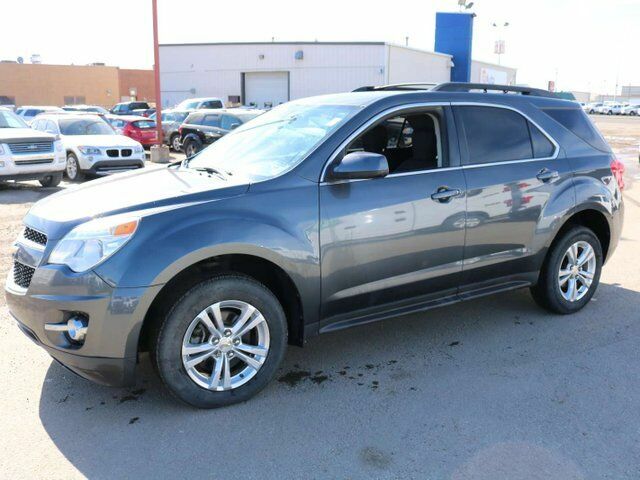 A practically perfect blend of utility, efficiency, and space, our 2011 Chevrolet Equinox 1LT AWD in Cyber Gray Metallic takes you down the road with style and finesse! Powered by a 2.4 Litre 4 Cylinder that offers 182hp while paired with a smooth-shifting 6 Speed Automatic transmission. With this All Wheel Drive, you will relish the near 7.4 L/100km on the open road and feel confident with the sure-footed stance plus tinted rear windows, roof rack side rails, and heated outside mirrors. On the inside, the Equinox LT has the upscale elements that you crave; comfortable seating for 5, tilt and telescopic steering wheel, and the most legroom in its class. Relax into our accommodations and enjoy the benefits of triple door seals and active noise cancellation that provide a tranquil atmosphere and enhance the tech conveniences of OnStar, a large, user-friendly instrument panel, and AM/FM radio with Aux input for your media devices. A Top Safety Pick, your Chevrolet Equinox helps you avoid and manage challenging driving situations with traction control, ABS, 6 airbags, a high-strength steel cabin, running lights, rear-view camera, and a tire pressure monitoring system. Reward your family with the security, space, and style that can only come from Equinox. Print this page and call us Now... We Know You Will Enjoy Your Test Drive Towards Ownership! Vehicle has a $13,313.00 carproof claim. AMVIC Licensed Dealer.